Graduate Studies in Top Management Universidad de los Andes de Bogota, specialized diplomas in excecutive selection, training, performance assessment, salary curves, service management, assessment center, selection by competences, and human resources management. Graduate in Psychology Universidad Javeriana de Bogotá. Complementary courses in order to homologate master level at Paris University X. 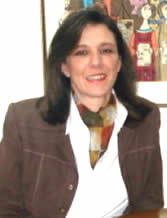 University professor at the Universidad Javeriana, Universidad de La Sabana, Universidad del Rosario, and Universidad Santo Tomás (all in Bogota, Colombia); Selection Director at Servicios Empresariales Integrados; and Career Adviser at Nuevo Gimnasio private school, Bogota, Colombia.Since 1984, Managing Director/CEO and owner of LOGROS. Human talent consultant in several production and service enterprises, both in Colombia and abroad, in the last 28 years. Bilingual French – Spanish and good knowledge of English. Looking forward to be the best recognized consultant in Colombia and abroad for the quality. Psychologist graduated from the Universidad Javeriana (Bogota, Colombia). Work experience as Organization Psychologist at Grupo Andes, Producciones Punch, and in selection, induction, planning and training. In the administrative and educative area, as partner and owner in the kindergarten Mis Kanguritos and in staff selection with Victoria Gomez. Administrative Manager of Correas y Cauchos Bogotá. She currently works as Selection Director at LOGROS COLOMBIA since 2010.
Business Manager graduated from the Pontificia Universidad Javeriana (Bogota, Colombia). Masters in Marketing Management from the Escuela de Organización Industrial E.O.I. (Madrid, Spain) He participated in the program “Proyecto Zero” developed by Harvard University in a covenant with the School of Marketing Management Certificate (Escuela de Especialización en Gerencia de Mercadeo) of Jorge Tadeo Lozano University at Bogotá. (Bogota, Colombia), Leadership and Team Building at the University of Texas (US), Studies in Electronics and Marketing and Telecommunication Certificate (Stockholm, Sweden). Wide experience a lecturer in certificate, diplomas, and masters studies in important universities such as the Pontificia Universidad Javeriana, Universidad de los Andes, Universidad Externado de Colombia, Universidad de la Sabana, Universidad del Valle, Universidad Industrial de Santander, UIS, Universidad Jorge Tadeo Lozano, UPTC, Universidad de la Salle, Politécnico Grancolombiano, Ficitec, Incolda, Cesa, Universidad del Norte (all of them in Colombia), among others. International speaker and facilitator in training programs with Fenalco, IBM, Top Management and directives of important enterprises. Author of several publications on Managerial Management in newspapers such as LA REPUBLICA and EL TIEMPO as well as an important number of articles for universities and specialized magazines in several countries in the Americas, in areas such as Enterprise Management. Author of the book “La Loca - guía práctica para ser feliz” (Crazy – A practical guide to be happy) edited in 2007. Author of the collection “Camino hacia la excelencia” (In our way to excellency). Author of the book “Liderazgo sin fronteras” (Leadership with no borders). Honorific mention as best professor in the Marketing Management Certificate at the Universidad Jorge Tadeo Lozano in 2005 and 2006.Author of the business video “Habilidades Gerenciales para un País en Crisis” (Managerial skills for a country in crisis). 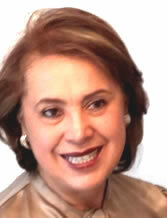 Candidate for the PREMIO PORTAFOLIO (award) as best university professor of the country in 2006, 2007, 2008,2011.Finalist in the nomination to PREMIO PORTAFOLIO and honorific mention as best university professor of the country in 2007. Member of the jury for investment projects submitted before COLCIENCIAS. Member of the Red Mundial de Conferencistas (World Network of Speakers) located in Germany. Member of the Latin-American Network of Speakers IF SOCIETY located in (USA). President of the Asociación de Industriales y Comerciantes (Association of Industrial and Commerce Traders ). Human Resources Manager at Induacero S.A., Industrial Relations Manager at Silueta S.A., Industrial Relations Director at Cadenalco S.A. 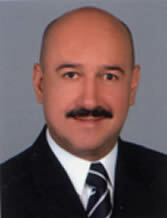 He currently works as General Manager at International Consulting Group for national and multinational enterprises. 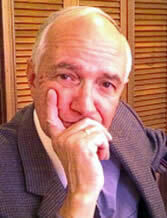 Alfredo Amore PardoPartner and Senior Consultant. Systems Engineer of the Universidad de los Andes (Bogota, Colombia). Program for CEO (Presidentes de Empresa) at the Universidad de los Andes (Bogota, Colombia). Program of Business Top Management at the Inalde – Universidad de la Sabana (Bogota, Colombia). He has more than 35 years of experience in top level positions as Technical and Sales Manager in Olivetti Colombiana, General Manager in Grupo Linux, General Manager of Fast Pago Electrónico, and Sales Manager at Unisys de Colombia, Sales Manager in Sistemas de Tecnología Avanzada, Technical and Sales Manager at GTE Sylvania Venezuela, and International Manager at Grahpco France with headquarters in Paris, France. He is currently a consultant, partner and legal representative for LOGROS-COLOMBIA, as well as the CEO at Terremark Colombia. Member of the Board of Directors of the American Enterprise Council (Consejo de Empresas Americanas) and of several Board of Directors of important enterprises. As General Manager, he has led human development programs and has been a consultant in areas of technology, and national and international speaker. He speaks English, French, Italian and Spanish.